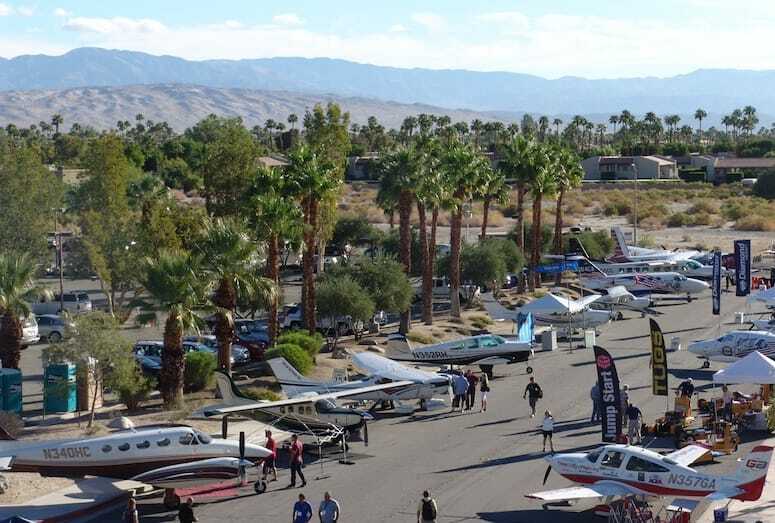 The Parade of Planes is back as part of the 2014 Aviation Summit, Oct. 31 to Nov. 2, at the Palm Springs Convention Center. The Oct. 30 parade involves planes taxing from the Palm Springs International Airport to the Palm Springs Convention Center, traveling down East Alejo Road to North Avenida Caballeros. The event has annually drawn crowds in one of the more unique opportunities to hear and feel the power of aviation. Also participating in the Parade are exotic luxury cars from Dream Racing, a company from Las Vegas that allows fans to drive cars like a Ferrari F430 GT around Las Vegas Motor Speedway. Dream Racing will be on site at the Aviation Summit providing attendees the experience to drive some of the finest vehicles in the world. The Parade of Planes kickstarts the Summit, which will host 10,000 pilots, industry experts and aircraft enthusiasts and give attendees the opportunity to see the latest products, talk to industry experts and see the unveiling of the Triton Aircraft Concept. A reverse parade will also be held Nov. 2 when the planes will taxi back to the airport.